Download My Very Hungry Caterpillar AR Now! 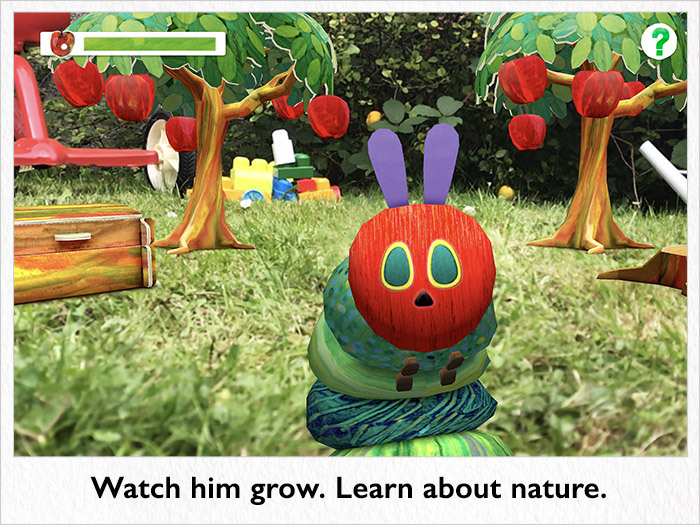 For the first time, The Very Hungry Caterpillar is brought to life in the real world, with a stunning AUGMENTED REALITY experience. It’s almost 50 years since Eric Carle introduced his much-loved character The Very Hungry Caterpillar to the world. 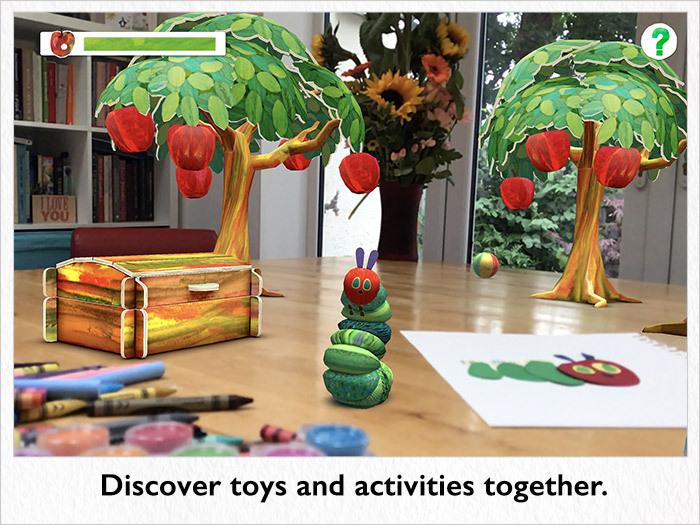 Now with Apple ARKit, The Very Hungry Caterpillar comes to life wherever you are. 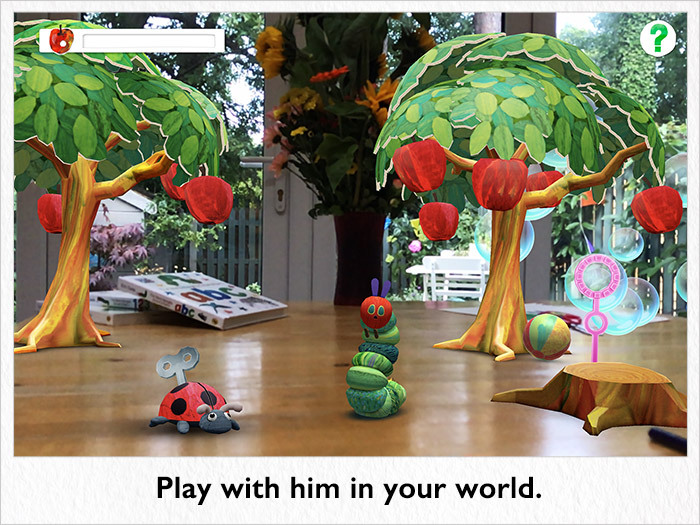 With Augmented Reality, you can see the caterpillar and still see the world around you. Watch him appear in your living room, on your kitchen table, in your garden, or anywhere you want to play with him. Hatch him from an egg, feed him tasty fruit. 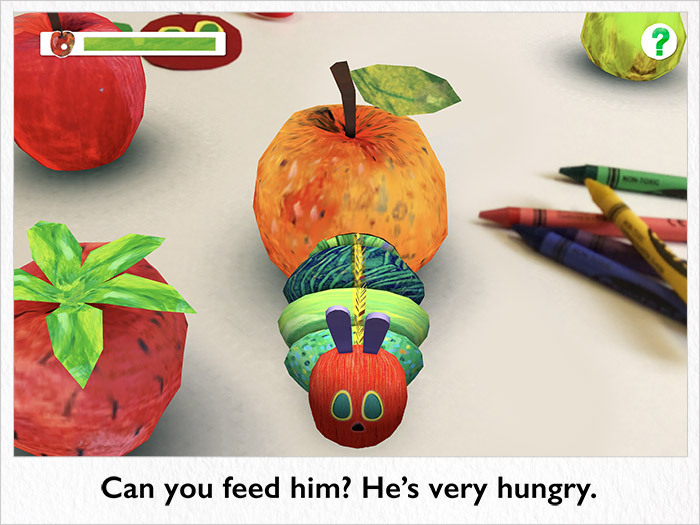 The Very Hungry Caterpillar will captivate you as he crawls around your environment. Help him explore your world, or take a peek into his colorful toy box. There are lots of surprises to discover. Pop floating bubbles and watch out for the wind-up Grouchy Ladybug! And when The Very Hungry Caterpillar gets sleepy, just tuck him into his bed. Each time you wake him up, it’s time for an exciting new day. 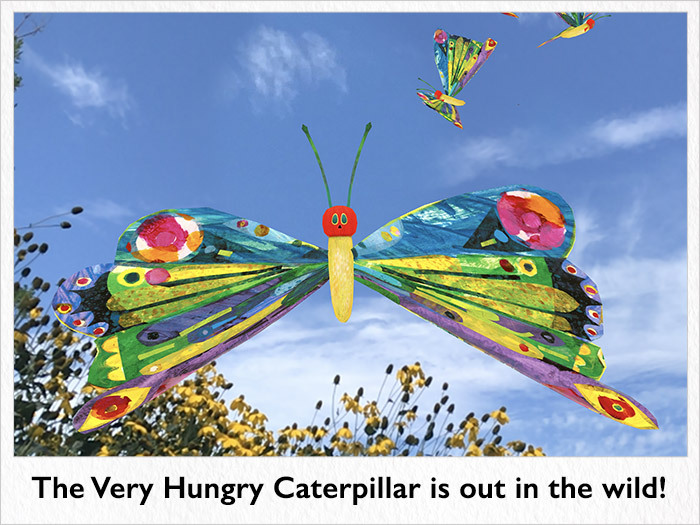 As he eats more, The Very Hungry Caterpillar grows bigger and bigger, until he changes into a beautiful butterfly, and flies up into the sky. And next time you play, a new egg appears and the adventure begins again. Children are playing in the digital world while still being connected to the real world. • Non-competitive individualized play — there is no right or wrong way to play.